Too costly to keep up, too worthy to destroy? 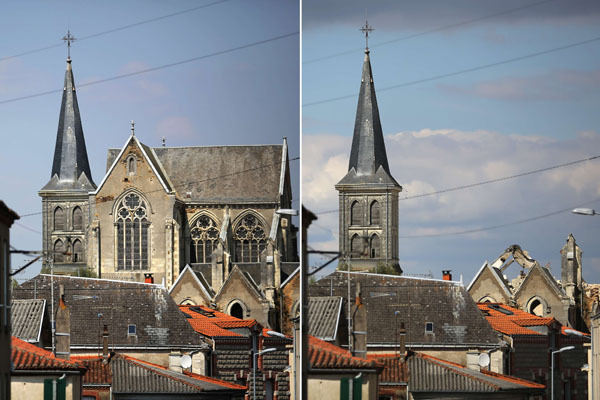 (GESTÉ, REUTERS, THENYTIMES) The residents of Geste, a village in western France, had recently witnessed the final phase of the “deconstruction” of its neo-Gothic church, Saint-Pierre-aux-Liens, a massive heritage that was the heart of the village. Built between 1854 and 1870, the Saint-Pierre-aux-Liens was a neo-Gothic church dedicated to St. Peter. Erected in stages to accommodate 900 people, the formidable stone building has stood empty since 2006 because of its deteriorating condition and municipal budget concerns, thus, scheduled for demolition and replace it with a new one that will be far cheaper to maintain. As reported, the church is surrounded by a wire fence to protect visitors from the very real threat of crumbling stonework, completing the picture of deterioration. “It is a victim of its considerable size. It is too big.” said Jean-Pierre Léger, 61, a retired engineer who is Gesté’s part-time mayor. The municipal council was saying it would cost some $4.05 million in 2007, needed for repairs and upkeep, against $1.9 million to demolish it and erect a new one. In 2008, the mayor and the town council has voted, 17 to 16, to demolish the church, and now, with workmen and cranes tearing down the walls of the church, the demolition was leaving the bell tower and the crypt intact. The scene is not unique to Gesté. 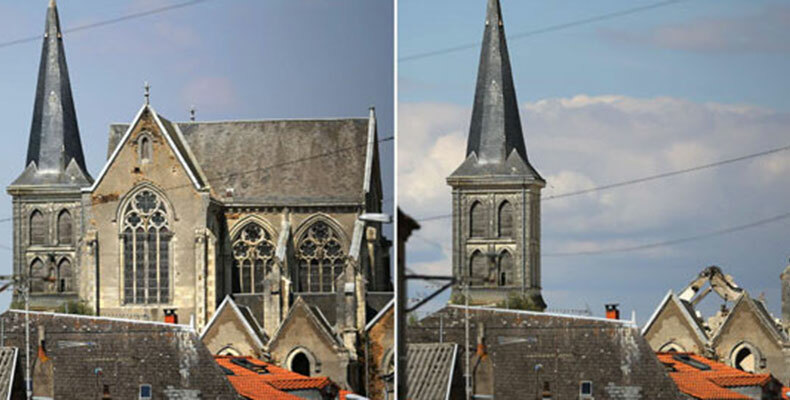 Across France, villages are being forced to ask hard questions about their churches, many of them deteriorating, as the number of parishioners and priests declines and the cost of preservation mounts, higher than the cost of tearing them down. Actually, this religious heritage’s struggle is not unique to France, a country of 90,000 church buildings, giving France the greatest density of religious buildings of any European country, but also to the rest of the world. In Gesté’s case, the demolition has brought different responses in the village with those behind the project, and those who are bitter about the “deconstruction”. One questioned that the solution to keep the structure, the fruit of the work of men 150 years ago, could not be found in today’s advance restoration technology. Some other have doubted that this is a cultural solution, more of a political, arguing that the town has overstated the cost of the restoration work, so tearing down and rebuild is only to fight unemployment. On the other side of the story, the struggle over the future of village churches apparently corresponds with a national debate on the issue of French identity. The neo-Gothic church was completed in 1870 on the ruins of a 16th-century church that was destroyed in the French Revolution. Deeply Catholic Anjou, where Gesté lies, resisted the revolution, and its church buildings suffered when the resistance was suppressed, thus, some would perceive the crumbling of village churches as a symbol of crumbling faith that make the way for a new, increasingly secular French identity with “less” expense.